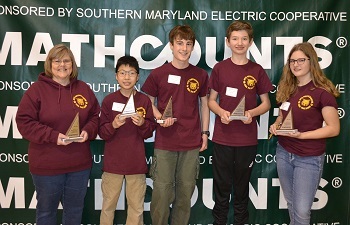 From left, coach Carole Butler, and team members Hogan Joo, Steven Vilcheck, Kyle Page, and Barbara Kaczmarek. 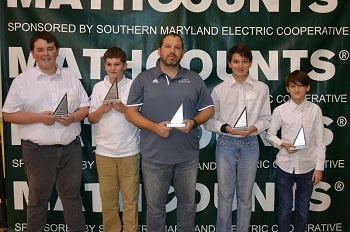 Kyle Page also placed first in the sprint/target round and Hogan Joo placed second in the countdown round. 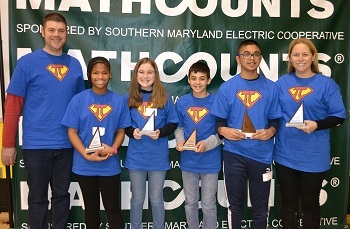 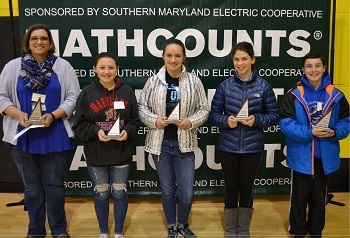 Teams from Calvert County middle schools captured three of the top five spots in the 25th annual regional Southern Maryland Electric Cooperative (SMECO) MATHCOUNTS competition held on February 2, 2019. 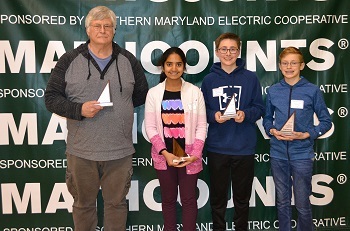 Northern Middle brought home the first-place trophy, with Plum Point finishing in second place and Windy Hill in fifth. 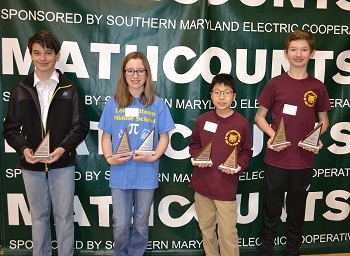 All three teams will advance to the state competition held on March 16 at Johns Hopkins University in Baltimore.